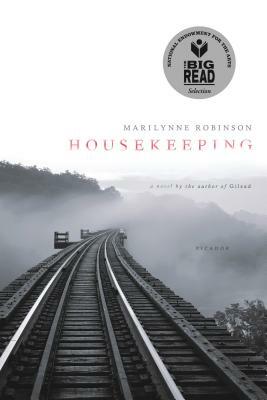 Why do you think Marilynne Robinson has chosen Housekeeping as the title for her novel? What does the concept of housekeeping mean to Sylvie? To the girls’ grandmother? To Lucille? Why is the idea of housekeeping such an important one in this book? How do the geography and character of Fingerbone mold and shape the lives of the people who live there? What does Ruth mean when she says that Fingerbone was “chastened” (p. 62)? How does the fact that Fingerbone is “shallow-rooted” (p. 177), a “meager and difficult place” (p. 178), affect Ruth and her family? “So long as you look after your health,” their grandmother tells Ruth and Lucille, “and own the roof above your head, you’re as safe as anyone can be, God willing” (p. 27). Do the experiences of her daughters and granddaughters confirm or refute this opinion? Do you find that the three generations of Foster women—the grandmother, Sylvie and her sisters, and Ruth and Lucille—share certain unusual or eccentric qualities? Do they have similar attitudes toward men and marriage? Do you notice a family resemblance between these women? Why might they, as a family, have kept themselves isolated from the rest of the community? After the death of Edmund Foster, the women of the Foster family inhabit a world entirely removed from masculine influence. What effect does this have on their lives and characters? Why do you think Sylvie and Helen eventually reject their own husbands so completely? Why do you think that Sylvie ventured out onto the railroad bridge (p. 81)? Was it from simple curiosity, as she assures the girls, or is it possible that she was actually thinking of killing herself, of dying in the lake like her sister and father? Where else in the novel can you find images of drowning? Lucille, Ruth believes, thinks that Ruth and Sylvie are alike. Do you find that Ruth is really like Sylvie, or does she come to resemble her during the course of the story? If so, why? At what point in the novel do you begin to notice the differences between Ruth and Lucille? Is Lucille’s wish for a ‘normal’ life evident early in the story, or does it take hold only as she reaches adolescence? What is the significance of Ruth’s and Lucille’s dreams (pp. 118-20)? What does each dream say about the dreamer’s character and eventual destiny? Housekeeping is told through Ruth’s very distinctive point of view. Do you feel, as she seems to, that Lucille’s defection from the family unit was an act of emotional dishonesty and betrayal? Or do you think that Lucille’s decision was the only way she could save herself. What is Lucille’s attitude toward Ruth? Does Lucille purposely leave Ruth behind, or does she try to save her? If you were one of Sylvie’s acquaintances or neighbors, you might consider her mad. After seeing her through Ruth’s eyes, do you believe that she is in fact mad? Which of the characters in the book do you think are mad? Which ones do you think are sane? What happens to Ruth during the day she spends alone at the abandoned house in the mountains (chap. 8)? How does this experience affect the direction she will take in life? How does her relationship with Sylvie change at this point? Do you agree with the sheriff that Ruth would be better off separated from Sylvie, in a “normal” household? Do you believe that if he were to succeed in separating her from Sylvie at this point, Ruth would grow up to lead a normal life? “Everything that falls upon the eye is apparition, a sheet dropped over the world’s true workings” (p. 116). What is Ruth saying in the long paragraph which contains this sentence, and how does this central idea of illusion, the unreality of reality, contribute to her leaving Fingerbone with Sylvie? Do you think that Ruth would have become a transient had she never met Sylvie? When Ruth leaves Fingerbone with Sylvie at the end of the novel, is it wittingly or unwittingly? One of the lessons Ruth has learned from her early life, and from Sylvie, is that all things are impermanent: “the appearance of relative sotidity in my grandmothers house was deceptive . . . It is better to have nothing, for at last even our bones will fall. It is better to have nothing” (pp. 158-59). And, “once alone, it is impossible to believe that one could ever have been otherwise” p. 157). Do you find this point of view convincing? Why has Lucille, obviously an intelligent young woman, not received the same message from their shared childhood? Ruth’s life has been permanently shaped by her grief at her mothers abandonment and death. Sylvie and Helen, too, suffered from the shocking loss of a parent. “Memory is the sense of loss, and loss pulls us after it,” Ruth reflects (p. 194). Do you see the events of Housekeeping as springing primarily from grief and loss? Can the novel be seen as a story about the different ways in which people cope, or fail to cope, with grief? “Even the illusion of perimeters fails when families are separated” (p. 198). What does the concept of “family” mean to the various members of the Foster family? To which people is the family most important, and why is it so overwhelmingly important to them? Which of the characters is ultimately willing to sacrifice the family and his or her own place within it? Why do Sylvie and Ruth attempt to burn down the house at the end of the novel?